What is Commission Black Ops? 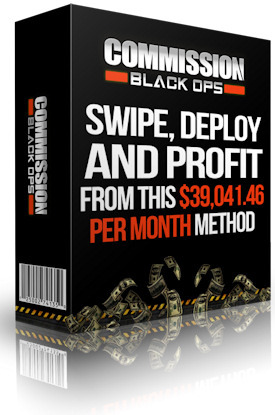 Commission Black Ops is an email marketing training course that uses military style themes and language and promises to unleash the floodgates of wealth for anyone who has ‘the guts to grab a copy‘ of the product. It’s all about affiliate email marketing and how you can promote affiliate products to your email list and earn commissions from those sales. A number of email marketers have promote products this way because not only does it provide some solid advice for anyone who’s looking to make money online, but it also has a decent affiliate program in itself. Can you implement the information and make money? If you search Google for a Commission Black Ops review it would be because you want to gather all the facts before you make a decision or risk losing money on another internet scam. Good decision! That’s what I have done here and put together this product review! In the sales video, Micheal Cheney walks you through his home and talks about the benefits of email marketing and how you can tap into this unlimited source of income. “The sales video is also quite similar to a lot of sales videos that advertise similar programs as does some get-rich-quick scams”. The problem is that a lot of these products teach you to treat your mailing list as if they were cash cows or bank accounts, and not as real people, with real problems. With that in mind, let’s see what Commission Black Ops is really all about. Without a doubt, email marketing is a big player in the online business. In fact, most of the money made with this type of marketing is with the back-end. If you’re starting out from scratch in online marketing, it is recommended that you start building a list and collecting leads from day one, and it’s suggested that you should use your site to collect leads, and there are a number of ways to do such as giving away something in order to build a list of potential prospects. Typically this takes time but within this training, Micheal gives you some clever strategies for quickly building a list using Facebook. The training also tells you to send promotional emails including posting links on Facebook the right way. He also promotes the fact that people will buy from you once they know you, like you and then trust you. The field manual gives a lot of value within the 67 pages, uncovering great strategies and useful advice for becoming an affiliate marketer. It also contains intel on where and how to find and market products. How to create and write persuasive emails and provides a lot of covert marketing information. 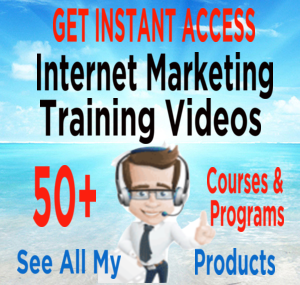 Each of the video modules is dedicated to a specific topic, the first three are the more basic and explain how email marketing works and specifically where to find affiliate products to promote. They’re more of an introduction course covering the basics of marketing although it still contained excellent advice, about marketing strategies and product promotion and getting affiliate products from product creators to promote. The remaining modules talk about the importance of attracting targeted traffic, converting the traffic into cash and the process that leads to high ticket commissions. So, not only does it cover how to promote products to your list for maximum conversions, there are also some excellent tips and a list of resources under each video, that is worth more than the price of the product. It talks about the importance of building an email list and creating a sales funnel to promote products and discusses how to go about doing that. Also the importance of treating the potential customer as a real person with feelings, desires, dreams and problems that you can provide solutions for. Apart from the great tips about marketing and promotions, these modules provide templates and tips that you can use to boost conversions. One of the tips was regarding email subject lines was that, like article titles, email subjects must be designed to capture the attention of the viewer. Otherwise, the email won’t be opened and likely be sent straight to the trash. So Micheal shows how to craft attention grabbing email subject lines that intrigue the reader and make them want to click and open the message. One of the ideas was to visit popular magazines or websites in your niche and take a page out of their article title book. In other words, take a look at the article titles, see which ones are the most popular, and then craft an email subject that uses similar wording as the article. Borrowing an idea like this, that works, is not plagiarism. I thought that was cool because a lot of people have a hard time coming up with email subjects. There are also a lot of other tips in there that will make it easy for you to write high converting emails. Here’s another tip I thought was useful: don’t include the phrase “Click here for more information” because it’s so overused and stale. Instead, use something more targeted and interesting! I also thought it was cool how Micheal mentions you don’t need to feel so much pressure to write perfect messages when crafting email content. Just write casually like you’re having a conversation with a friend, much like how blog posts should be written. It’s okay to keep it simple and light! For starters, it assumes that you already have a list and if you wanted to monetize the information straight away you need a list to begin. You can build a list using the information within this program but it will take time – just as all list building does. However, if you want to know how to write email subject lines and email content for maximum conversions. Then, this product is very good, as it covers the subject of emailing and marketing and promoting affiliates products very well. From experience, building a list is the hardest and most time-consuming part. Yet for a base price product, it assumes you know how to build a list. It does have tips and some good advice but for some people, it will still take time. 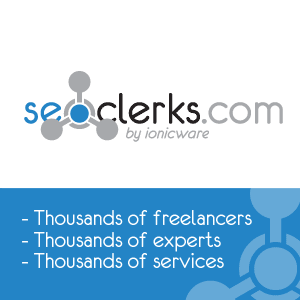 But, once you have a list, it’s relatively easy to get conversions using the information provided in this program. The challenge for many is building the list. So if this product contained more information about list building from scratch, from the beginning then I would say it’s an awesome product for anyone who wants to make money with email marketing. The problem of list building problem is solved somewhat with the information revealed in the upgrades as it builds a strong money making potential with the additions to the initial training course. All in all, it’s a great product, plenty of good information and definitely not a scam. There are some decent tips within the training area; it’s relatively cheap, so if you’re interested in learning more about crafting emails and promoting products then you should go ahead and grab a copy! On the other hand, I think the technical part of list building is where a lot of people get stuck, and they may drop out before completing the course so it should have covered things like setting up a squeeze page and how to send traffic to it, just to make the initial course more robust and give confidence to the newbies that they can do it. Yes! There are up sells, for this product, and if you have a good sized list, then the upgrade product (below) could be a good fit. For an additional $47 you can be upgraded and get Commission Black Ops Done-for-You Commission Crates. With this upgrade, you get ready-to-earn email promos, blog posts, Facebook posts, Special Bonuses and Discount Coupon Codes for your buyers for seven additional affiliate products, plus a few other cool bonuses. Which should keep most affiliate marketers busy for quite some time, (even if you only wrote product reviews while you were building your list), and again very inexpensive at $47. 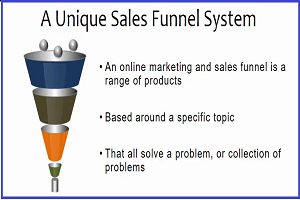 There is also another upgrade for $97 which they will also fully explain and another and finally, at the end of the training, there is a promotion from Dean Holland and his high ticket iPro High Converting Sales Funnel System. A program with which they say you will make at least $20,000 within six months or they will do it for you. 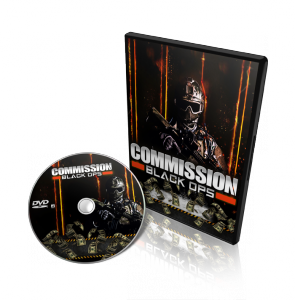 Commission Black Ops can be an informative email marketing training program, (which itself is very good) or a full blown affiliate marketing course with an ‘everything done for you‘ option, making you, money as an affiliate marketer using the marketing strategies learned from the program including setting up membership programs. 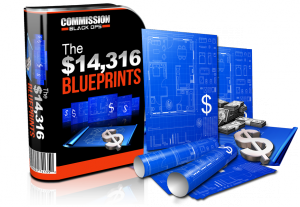 The program ‘Commission Black Ops‘, its self is a perfect example of a sales funnel as it takes you from, high quality, low ticket item and by means of ‘adding value’, it moves you progressively through a sales funnel. Fortunately, you get to decide how much of the program you want to purchase. You will learn something along the way. And at every step, it’s your choice. So from that perspective alone – it is a great program to explore. 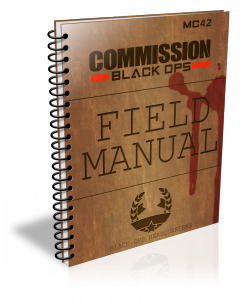 If you have enjoyed this post “Commission Black Ops Review” please feel free to share socially or ask a question below. 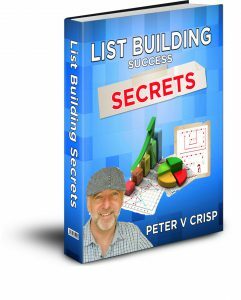 If you leave a comment, I will reward you with a free PDF copy of my book; ‘List Building Success Secrets‘ – Learn how to create a list properly and how to profit from it. “If you are just getting started, you will want to build a list. 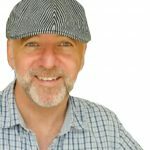 Yet you may not know how to actually do this and this is where most people get stuck, right at the beginning… Without a strong list, you won’t have a stable source of online income“. You can get this book in exchange for leaving a comment – Thanks! List building is one of the hardest things for me to learn. I am still struggling with it. From your review, it looks like perhaps this program might not be so suitable for me because it assumes that you already have a sizeable list. Is the $19.95 price a monthly payment or one-time payment? Thanks for your engaging review. Thank you for the detailed information. This is something I may look into when I have an email list. Like you said getting a list started is the hard part and that is where I am now. 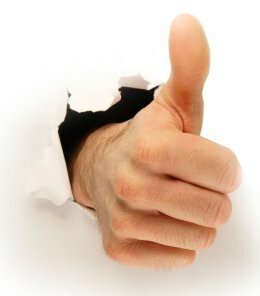 If you find a program that teaches you how to build an email list, that would be great for those of us who are having a hard time. I could use some training in email marketing. I haven’t really concentrated on that yet, but I got to do it sometime. For just $19 this seems pretty well priced. The $47 upgrade also seems reasonable, and this is actually something I can afford. I will have to build my list, but I’m sure I’ll be able to do it. 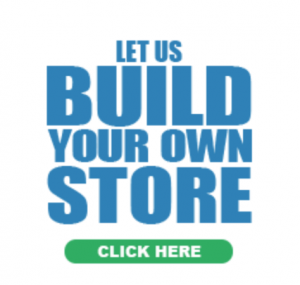 List building seems to be the hardest part for all businesses, especially small businesses. I for one started a business years ago and that is part of what I learned was the most impossible thing to get off the ground. I have found better ways to do this, but networking has changed so much over the years that now, with the internet, people are stepping over each other for emails, and contact lists. And then you don’t want to be spammy. Thank you for your review. This is definitely a topic I am interested in learning more about! The review was great, very thorough. I appreciated how you were to the point with the facts and didn’t lean any direction with your opinion. I know a lot of these list-building programs are the same, and they ALWAYS include an upsell somewhere in there. I have honestly gotten so sick of either being scammed by them, or like you said with this one there is just a lot of overwhelm at the beginning and people won’t finish it. At the low price of about 20 bucks it’s not a huge loss in that case. This sounds really awesome. One thing that I had quite a bit of trouble with was getting my email marketing campaign off the ground. When I looked at the sales page for Commission Black Ops I was really turned off. There is not a single word on the page about email marketing. Most of the sales pitch talks about how much money you could make with it and how you’re getting the product for a steal. Honestly, this fits in with so many other scams I’ve come across. If it’s really worth what he’s saying, why is he trying to hide what the course is about until the user pays for it? 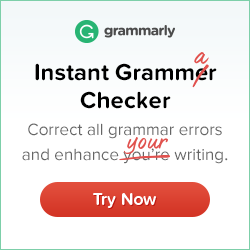 Hello, JCamdem, I actually bought this product, hence the review on it and if you want to know how to write email subject lines and email content for maximum conversions. Then, this product is very good, as it covers the subject of emailing and marketing and promoting affiliates products very well. From experience, building a list is the hardest and most time-consuming part. Yet for a base price product, it does have tips and some good advice on building an email list but for some people, it will still take time. Here’s my problem with these sort of reviews. I don’t have an issue with the content per se but when I read these reviews about money making opportunities, I want to see what a real person has made from this. 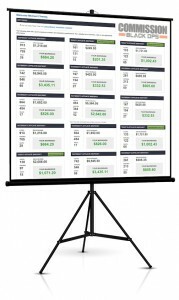 I agree with what you are saying about the list building being missing from this but I was wondering if you actually made any money yourself from doing this particular program. For me, that is the ultimate proof that something is worth paying for and clicking through. 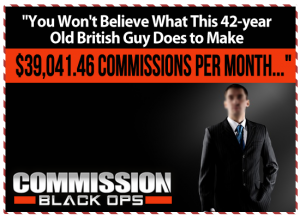 How much did you make from Commission Black Ops? Thank you for a very informative article Peter. I like the pictures and the look of the site a lot, it has a relaxing tone in it. And I agree with a suggestion that we don’t use “click here for more”. To me personally, it feels like I will get a virus or a lot of spam if I click it so I avoid it like many other do. Thank you very much for the tips, I’ll definetly give it a go.